Mandeville real estate offers residents the beauty and serenity of living in a lakefront town while being near all the amenities needed. On the North Shore of Lake Pontchartrain in St. Tammany Parrish, Louisiana, there are many homes from which to choose. Single-family, condos, townhouses and lakefront homes are just a part of the options. Mandeville homes for sale are affordable, making this one of the top choices for those who work in the New Orleans area. This location is so popular that it has been listed in the Relocate America Top 100 Places to Live in 2004, 2005, 2007 and 2009. In addition, it is a prime location for commercial property. When choosing Mandeville homes for sale, residents have numerous recreational opportunities. Outdoor activities include hiking, boating, fishing, swimming and many other water-sports. There are plenty of opportunities to enjoy the marine life and the wildlife in this area. The Mandeville Trailhead is a center of activity for the adults and children. 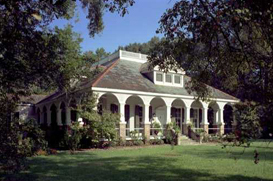 There is an amphitheater and a depot museum where residents can learn all about the city of Mandeville. A farmer’s market provides a variety of items. Residents of Mandeville real estate have a wide range of shopping and restaurant choices as well. As part of the New Orleans-Metairie-Kenner metropolitan area, Mandeville is just across Lake Pontchartrain from New Orleans, which provides an even more extensive selection of attractions. In 2008, the population of Mandeville was 12,421. The area has grown from a weekend and summer retreat for the well-to-do and middle class to a permanent residence for many. Residents of Mandeville real estate are served by the St. Tammany Parish School District, providing several excellent public schools. There are many private and religious schools as well. This is considered one of the best areas for raising a family. The city has a rich history and art and cultural venues are plentiful. As a matter of fact, this was one of the first places outside of the city of New Orleans where ‘jazz’ was heard. Many of the early jazz artists played in Mandeville, including Papa Celestin, Kid Ory and Bunk Johnson. Mandeville real estate provides a versatile choice for professionals, families, retirees or singles.